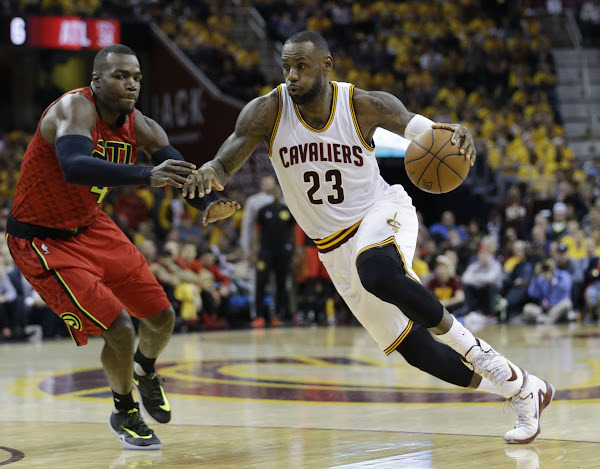 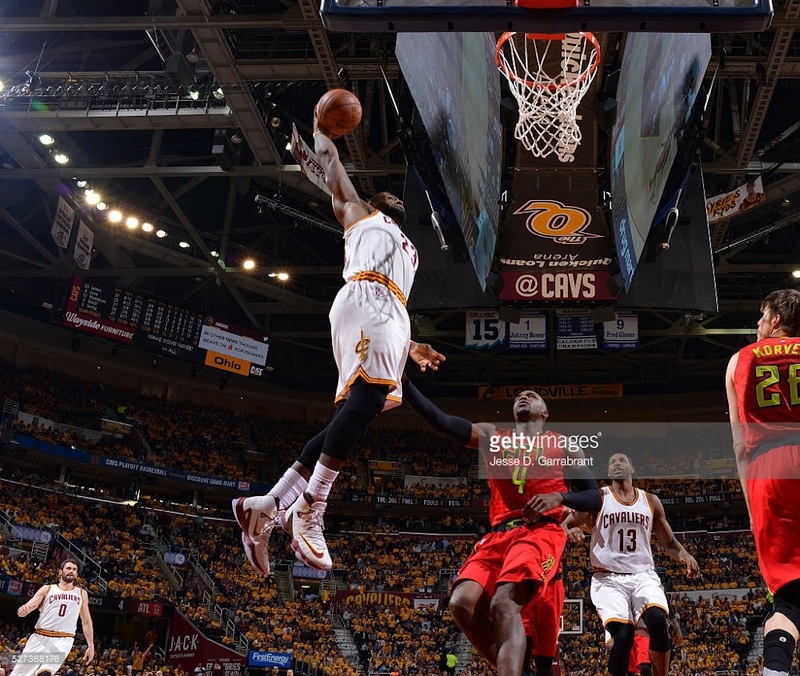 On Monday night, LeBron James scored 25 points, Kyrie Irving added 21, and the Cleveland Cavaliers withstood a strong second-half surge by Atlanta to maintain its chokehold on the Hawks with a 104-93 victory Monday in the opening game of their second-round Eastern Conference playoff series. 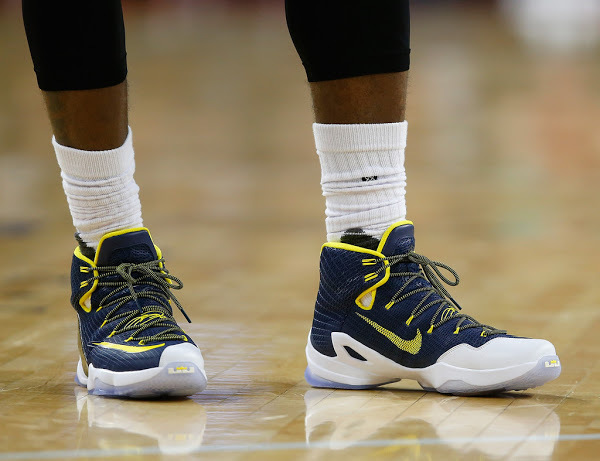 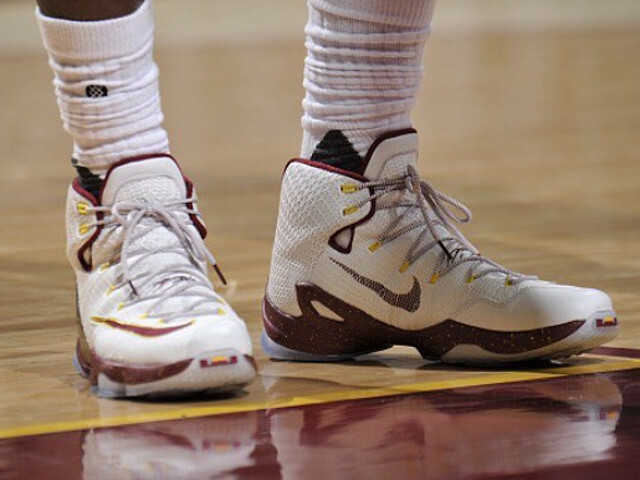 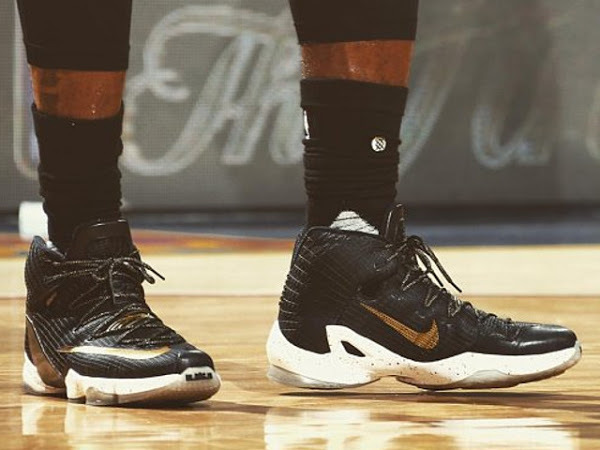 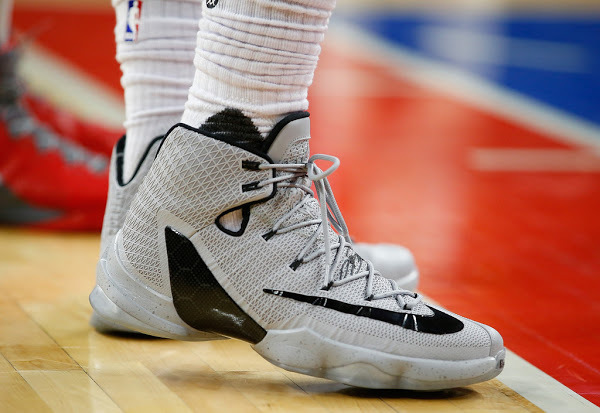 James laced up his fifth different version of the Nike LeBron 13 Elite. 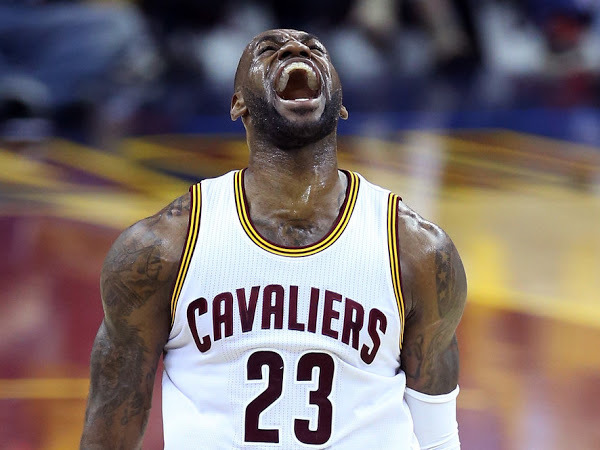 This time he opted for a truly Cavs-inspired Wine and Gold look matching the team’s home uniforms. 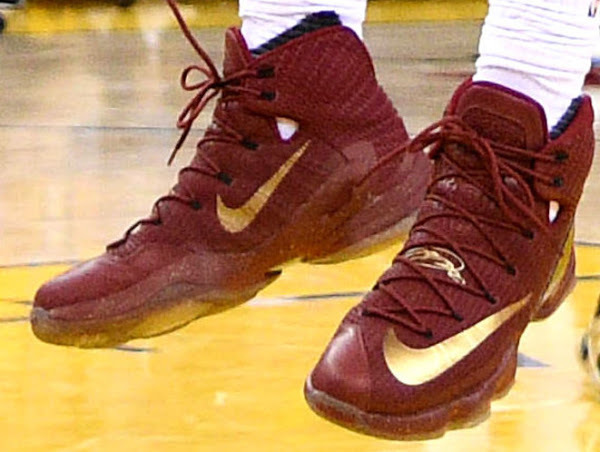 So far The King wore two GR colorways – Red, Black – and three PEs – Navy, Grey, Wine & Gold.